WRITTEN BY EXPERTS IN COMBUSTION TECHNOLOGY, THIS IS A UNIQUE AND REFRESHING PERSPECTIVE ON THE CURRENT BIOFUEL DISCUSSION, PRESENTING THE LATEST RESEARCH IN THIS IMPORTANT FIELD. THE EMPHASIS THROUGHOUT THIS REFERENCE IS ON APPLICATIONS, INDUSTRIAL PERSPECTIVES AND ECONOMICS, FOCUSING ON NEW CLASSES OF BIOFUELS SUCH AS BUTANOLS, LEVULINATES, BENZENOIDS AND OTHERS. CLEARLY STRUCTURED, EACH CHAPTER PRESENTS A NEW CLASS OF BIOFUEL AND DISCUSSES SUCH TOPICS AS PRODUCTION PATHWAYS, FUEL PROPERTIES AND ITS IMPACT ON ENGINES. THE RESULT IS A FASCINATING, USER–ORIENTED OVERVIEW OF NEW CLASSES OF BIOFUELS BEYOND BIOETHANOL. Written by experts in combustion technology, this is a unique and refreshing perspective on the current biofuel discussion, presenting the latest research in this important field. The emphasis throughout this reference is on applications, industrial perspectives and economics, focusing on new classes of biofuels such as butanols, levulinates, benzenoids and others. 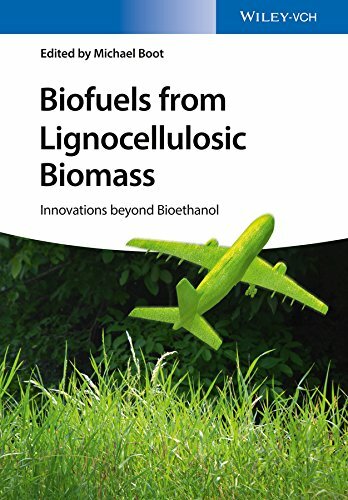 Clearly structured, each chapter presents a new class of biofuel and discusses such topics as production pathways, fuel properties and its impact on engines. The result is a fascinating, user-oriented overview of new classes of biofuels beyond bioethanol. Michael Boot is part-time assistant professor in the combustion technology group of Eindhoven University of Technology, the Netherlands. He earned his MSc. and PhD. degree in mechanical engineering from the same University in 2005 and 2010, respectively. In 2009, he co-founded a University spin-off, Progression-Industry BV, to commercialize various fuel- and waste energy recovery technologies, he developed during his PhD. period.